Basketball keeps your teens at home and out of trouble. As you well know if you have teenagers, oftentimes teens can get themselves into trouble simply because they’re bored and looking for something fun to do! 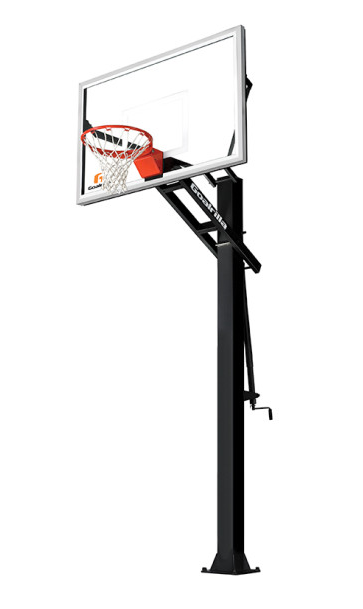 When you have a basketball goal at your home, teens can safely find fun in their very own driveway. A basketball hoop can help your house be the “fun house.” Teenagers usually gravitate towards fun and food, so when your house has both, it’s certainly the perfect combination! When you have teens you know how hard it can be to keep track of where they are and with whom they’re hanging out. But when your house is the “hang out house,” you can get to know your kids’ friends as well as know where they are. Basketball is fun for the whole family, including parents and younger children. If you have kids that are a wide range of ages you know how difficult it can be to find activities that the family as a whole can enjoy together. Basketball is one such activity that kids can enjoy from toddlers to teenagers and beyond! Purchasing an adjustable goal ensures that your entire family can enjoy the game together for years to come. Basketball gets teens moving. If you have a teenager who resorts to watching television and playing video games, you know if can be difficult to get them off the couch and moving, which can help to improve both their physical and emotional health. A basketball hoop in your driveway gives them a way to unwind and relax while getting them off of their technology devices. Basketball encourages critical thinking skills. Teenagers probably won’t even realize that they’re also using their brains in addition to their bodies when they’re playing basketball! If they’re playing by themselves, they’re calculating angles and distances without even realizing it. When they’re playing with others, they’re learning to communicate and work as a team. If you would like to buy a basketball hoop for your teenager, stop by Happy Backyards in Franklin to check out the variety of goals that we offer!